Discover nature's alternative for managing anxiety. 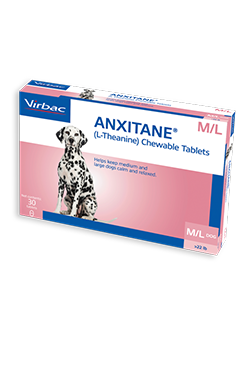 ANXITANE® (L-Theanine) Chewable Tablets help pets keep calm and relaxed. Containing L-Theanine, an amino acid naturally found in green tea leaves, ANXITANE Tablets are a palatable alternative that both cats and dogs will enjoy and a great option to use in conjunction with a behavior modification program. CAUTIONS: Safe use in pregnant animals or animals intended for breeding has not been proven. If the animal’s condition worsens or does not improve after 60 days of use, stop product administration and consult your veterinarian. Not intended for use in animals with severe phobias, separation anxiety or in animals with a known history of aggression. Can ANXITANE® (L-Theanine) Chewable Tablets be given with other medications? 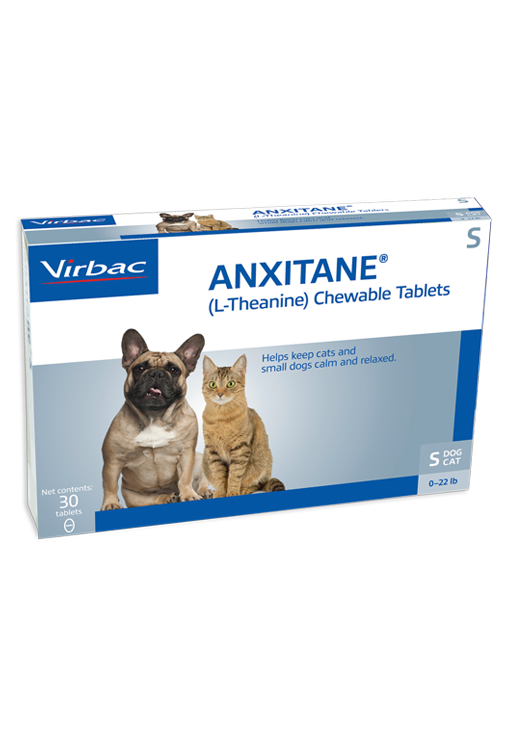 ANXITANE Tablets can be given for the life of your pet, as well as with other medications. ANXITANE Tablets promote relaxation in pets exhibiting nervousness, anxiety or responding to environmentally-induced stress. 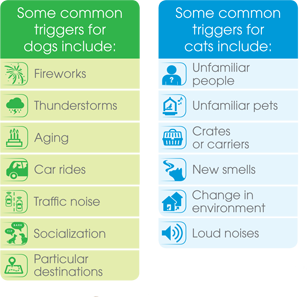 It is not intended for use in animals with severe phobias, separation anxiety, or in animals with a known history of aggression. What is the flavoring/protein source for ANXITANE® (L-Theanine) Chewable Tablets? It is chicken liver flavored.